What is Emu Oil? I was sent a bottle from AzureNaturals to review as I have used other products from their natural line. I just had to try this one as the name Emu oil got my curiosity. So I looked up Emu Oil and discovered it came from the emu bird. They process this bird for meat and then get the oil from the fat that is left over. I guess some point in time someone discovered that this oil had great uses for the skin. Emu Oil is a lightweight white almost cream oil that is non-greasy and quickly absorbed into the skin. I love that Emu Oil is hypo-allergenic and does not irritate sensitive skin. This oil will plump and soften skin, reduce muscle and joint pain, and even stimulate hair growth. So how does it work? Emu oil is known for its great moisturizing properties and it deeply penetrates the skin to help retain moisture. This white oil from a bird will relieve itching, redness, and cracked skin that is from skin conditions like eczema, psoriasis,rosacea and many others. You can also use it in your hair to stimulate hair growth. 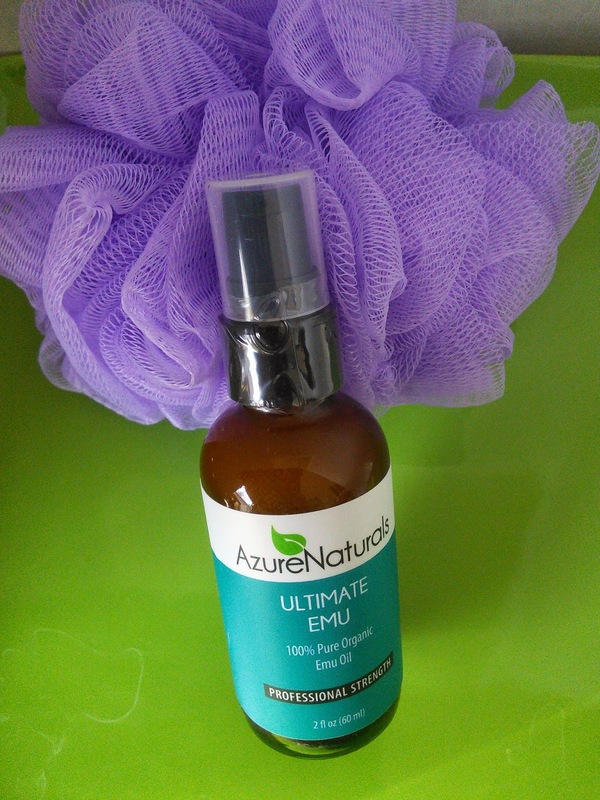 AzureNaturals Emu Oil is 100% pure emu oil that is non-pore clogging. It is also free of parabens, dyes, fragrances, and fillers. A little bit of this oil goes a long way as you only need 2-3 drops when you apply it to your face, neck, hair, or skin. You can use morning or night along with your regular moisturizing products. I applied a drop on each of my hands which were very dry and chaffed. It did not irritate my skin like most lotions do. I rubbed it in and my hands felt soft and silky. I made sure to rub it into the dry cracks I get on my fingers near my nails and I loved the way it coated them and made them feel less sore. My boys get eczema in the winter and I will be using it on their skin as it won't irritate their sensitive skin like other lotions do. AzureNaturals stands by their products and wants you to be happy with them. If for any reason you are not, they offer a one year money back guarantee that even includes shipping. 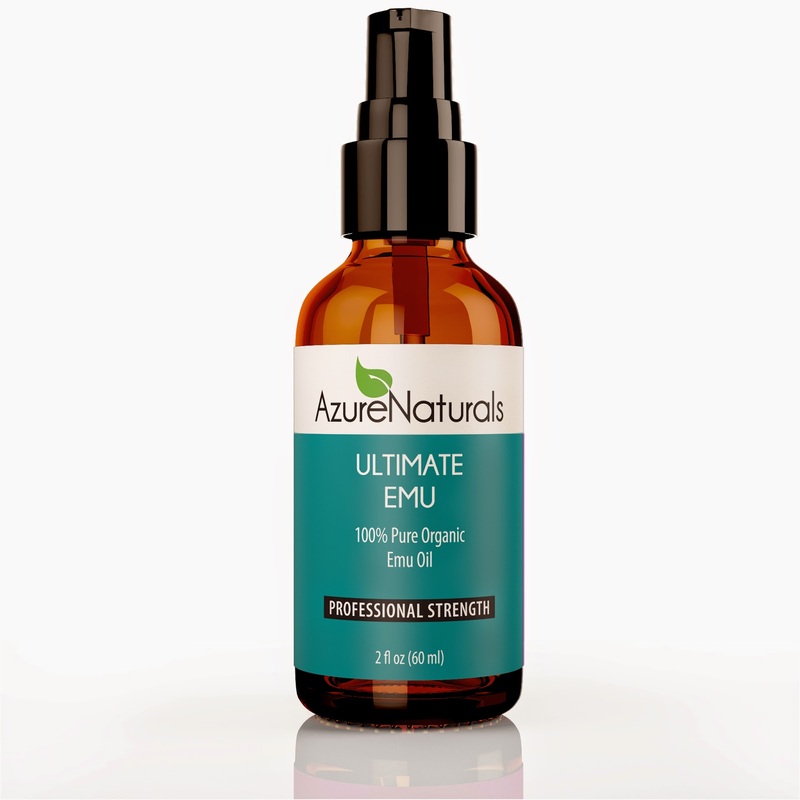 For more information on AzureNaturals Ultimate Emu Oil, click on the below links. I might have to get this for my s/o, he gets really dry knuckles this time of the year. I think I will try this for my rosacea! Sounds interesting! I'd always wondered what emu oil was used for too. Sounds lovely! I had never know what emu oil did! My hands are so dry in the winter, which really stinks when you're a crafter. I may have to try this out. This sounds wonderful...Never knew what it was good for! This sounds perfect for my dry skin! This sounds like a wonderful product. I wonder how well it would work on my son's eczema. I love to use natural oils especially in the winter since my skin gets so dry. I will add this to my to-try list! I've been using an emu oil cream from Emu Bliss and it's helped with my dry skin and itching.